Top Choice Poultry is a perfect choice for Your daily meal. More than 50 years of experience in the poultry business and over 10 years of cooperation with Swedish, Finnish, Danish and other export customers. Gathering all our experience together, in 2016 it was decided to create our own Foodservice export brand Top Choice Poultry. 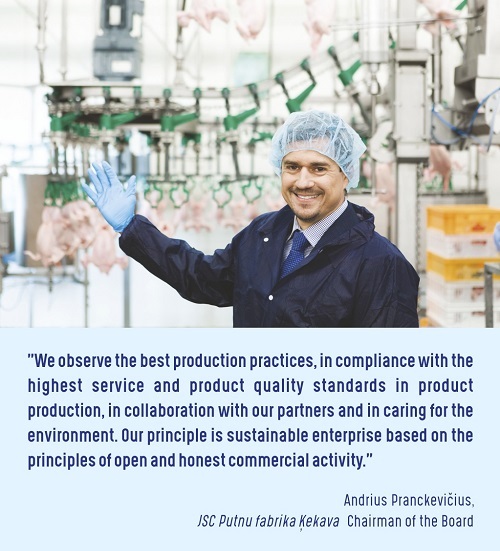 All our products are produced at two biggest Latvian poultry meat production plants: Putnu fabrika Kekava and Lielzeltini. Domestically well-known brands Ķekava and Bauska. Both brands are very well recognized, trusted and used for Latvian, Lithuanian and Estonian markets. 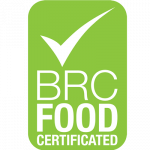 And for all customers outside Baltics we use Top Choice poultry brand. Firstly, we’ve had a successful launch of Top Choice poultry products in Sweden and Finland and recently we’ve started to supply customers in Denmark, UK and Ireland. In the nearest future we have ambitious plans to enter new export markets with Top Choice poultry products. For the retail in Nordics we have decided to present a totally different brand – Grannfågel. The word comes from Swedish language which means “neighbor bird”. Our production is fully integrated, so each production step is controlled and supervised. We focus on high animal welfare standards, bio-security, social responsibility, which give us the possibility to build up the long-term partnership worldwide. Our chickens are healthy, happy and our meals are tasty and safe to use. 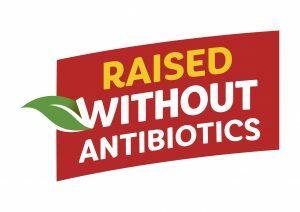 The use of antibiotics is close to zero, the spread of salmonella equals absolute zero. So, we are 100% confident about our production set-up and products. Our strength is not only technological competence, but also our team, which consists of more than 1000 highly qualified and knowledgeable industry professionals including engineers, food technologists, poultry farmers, laboratory assistants, logistics specialists, highly motivated sales and marketing professionals who are flexible and dedicated to the customers’ needs.